WRX User Tunable Enginge Computer (2002-2005) (WRX-UTEC-US). The UTEC is a new concept in WRX engine management delivering the power and control of a stand-alone engine management system with the convenience and tuning ease of a piggyback system. UTEC enables complete programmable control over ignition timing, fuel, and boost, while allowing the factory ECU to maintain control over tedious and mundane functions that make the car drivable on a daily basis. 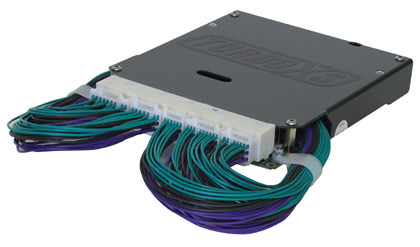 Functions like cold start, hot start, intake temperature compensation, AC compensation and closed loop fuel control signals are all managed by the factory ECU reducing your tuning time significantly while enhancing daily drivability. Spend your tuning time doing what we all like to do - making your WRX faster!